For information and to download the MVVM Light Toolkit, visit the Get Started page. Also make sure to check my videos, presentations, publications and podcasts! Looking for drone footage? Check my YouTube channel and my Instagram stream! The first event happened in Santo Domingo, Dominican Republic. We teamed up with local user group organizer (and MVP) Charlin Agramonte to organize a free event where approximately 100 developers (many of them students) showed up. We had three local speakers open the event with talks in Spanish and then Jim Bennett, James Montemagno and myself each had a talk about various Azure and Xamarin topics. Finally we had a Q&A. The event started at 2PM and we had to stop taking questions at 7:30PM because we had to give the room back. 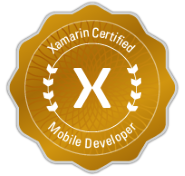 It was full of very positive energy, and great to see so much enthusiasm around coding, Azure, Xamarin and more. This event was right after the Caribbean Developer Conference (CDC) where we already had the chance to talk to 350 local developers (the event was visited by 90% local developers). Out of the 100 we had in Santo Domingo, only 2 had visited the CDC so it was definitely a win to organize this event in addition. Amazing to see such a large and active community in the Dominican Republic! The second event was the .NET user group in Sao Paulo, Brazil where another 100 developers joined me to hear me talk about .NET Core and .NET Standard. It was another great evening, after Microsoft Ignite the Tour. We had a delicious happy hour sponsored by Microsoft (and organized by my amazing colleague Cynthia Zanoni). Then I gave my talk about .NET Core and .NET Standard and was really happy to show this amazing cross-platform technology. 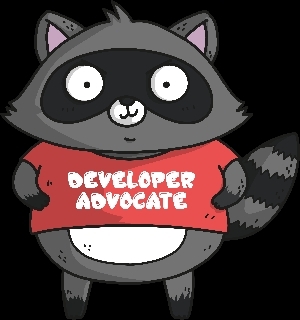 I really believe that this is a game changer, thanks to the cross-platform abilities but also the new tooling such as Visual Studio Code, Linux App services on Azure and more. It was again a really wonderful evening that brought me a lot of satifaction and energy. I also want to mention Microsoft Ignite the Tour which is a huge team effort where we created a lot of brand new session from scratch. I had two session (Azure Data Fundamentals and Azure Data Migration) which I presented in Berlin and Sao Paulo. You can use these links to download the content. More such events further below. More than ever I am really happy to have taken the decision to join Microsoft, and the Cloud Advocates team. 2018 saw some changes in the team, with a lot of new recruits and some new groups (Ops Advocates, Regional Advocates). This allows us more flexibility, more reach, more expertises. It also means a lot of new colleagues and some changes in the organization to better organize everyone. Moving forward, my focus will be more on enterprises, which means a lot of .NET (yay) but also some investigations with other frameworks and languages. Very much looking forward to all this! Also working more closely with people like Bruno Borges, Jeremy Likness, Brian Benz as well of course as all the other Cloud Advocates. We have jobs open! We are looking for new advocates in various regions. Make sure to check our jobs page. Of course these conferences, all around the world, came with a lot of travel to get there. According to the App in the Air mobile application, in 2018 I was in the air for a total of 343 hours, for 251,388 km, on 22 different types of planes, 14 airlines, in 29 airports, in 18 countries. My busiest month was October, and the least busy was July (which is when I took vacation with the girls and spent more time on the ground). Traveling like that was pretty interesting and I learned a lot about myself. When you travel that much, you need a lot of patience, good mood and some conscience about health and exercise. Fortunately I managed to stay healthy and I didn't have any major incident during all that time. Surprisingly I also didn't have many issues or delays during flights. 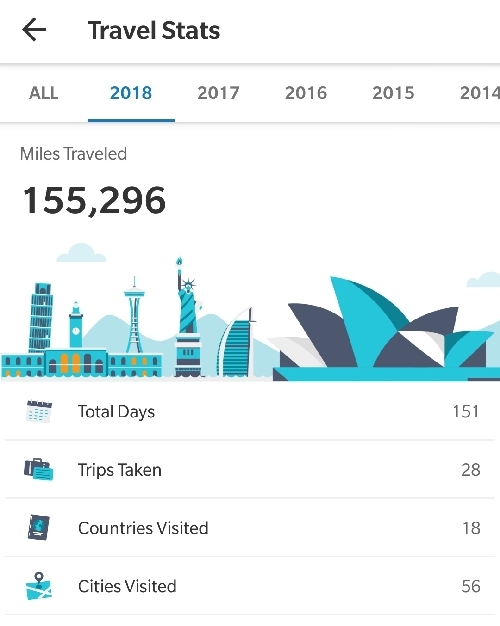 Getting Gold status with Miles and More (100,000 miles) in the middle of the year was a good help and definitely makes travel easier, thanks to lounges, showers, more rest during layovers, more upgrades to business class, and more relaxed boarding process. I created a cool video thanks to App in the air which illustrates the travel. More stats below. We ended 2018 with a lot of work preparing sessions for Microsoft Ignite the Tour, a free event organized by Microsoft Azure and Microsoft 365 teams. We opened the Tour in Berlin and in Sao Paulo in December. For this event, I had to learn a lot about data in Azure, data migration and other concepts. We also had to package the sessions so that multiple speakers can present these sessions around the world, since it is physically impossible for one presenter to attend every session. More Azure services... Almost every time I create an application, I need to learn new services, or new features of existing services. I love it. It's a great occasion to improve myself as well as testing the documentation. For example, recently I started using Logic app for simple tasks like sending an email or tweeting something automatically. More end-to-end applications: While it's great to document Azure services, I think that we need to be better at creating and architecting end-to-end applications involving multiple services. It is when you start assembling multiple Platform-as-a-service components that you realize how powerful Azure really is. We need more samples and documents showing how to do that. More cognitive services: I love cognitive services. I want to leverage those more and get to know them in depth. Artifical intelligence / Machine learning: I started a course in 2018 but let's face it, with the travel I had, it was hopeless. I really want to spend time on this in 2019. Python: See above AI/ML. Python is the language to know for AI/ML and one pretty much goes with the other. I love to learn new programming languages and am really looking forward to this. More videos: I have recordings of my talks that I need to edit, and publish to my YouTube channel, and I plan to do more recordings in 2019. If you are reading this, you are a part of my community and I want to thank you for your support and the energy that you give me ever since I started advocating and teaching in 2006. These 12 years have been the most enjoyable and gratifying of my career. 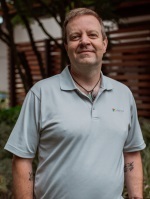 Recently I had the chance to give a keynote at Visual Studio Live San Diego and to reflect on the past 25 years since I started coding in 1993. It was really great to take this trip in memory, and to recall all the languages, frameworks and devices that I was lucky enough to code for. And more importantly, all the amazing people I had the chance of meeting and teaching and learning from. I am so excited about the next year, and the next 25 years, and what technology will bring. I hope we will have more services and APIs, more languages, more frameworks allowing us to build more applications in an easier manner, to help people in their day-to-day. I hope we will have less bigotry, less aggressivity towards each other, more inclusion and diversity (in tech and otherwise), more tolerance for each other. I plan to spend less time worrying about things I cannot change, and to concentrate on the areas where I have a positive impact. For this I can really use your support and your help, in 2019 just like in 2018 and the previous years. I wish you all and your families a very happy new year.